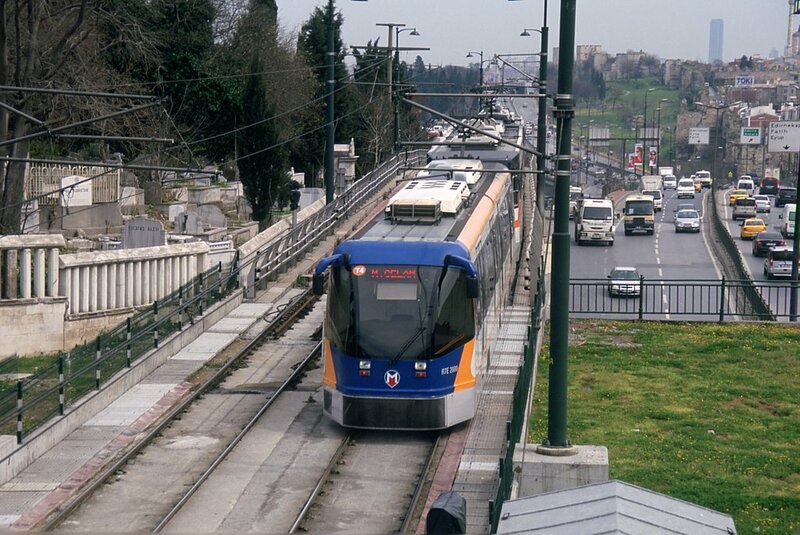 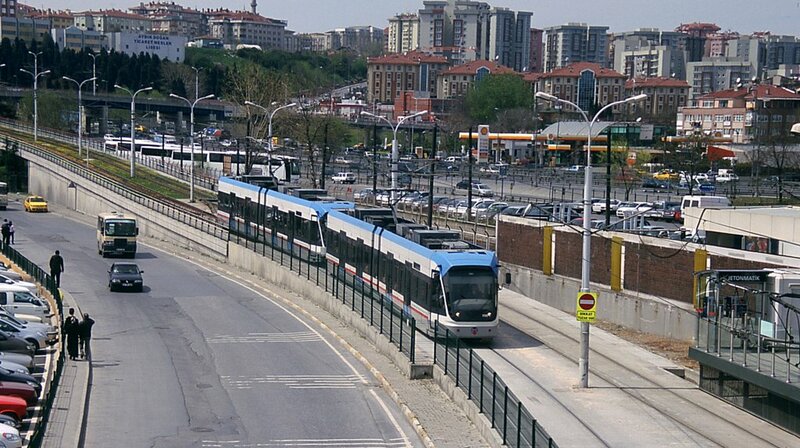 Its is little known outside of Istanbul that this city used to have a brilliant tramway network. 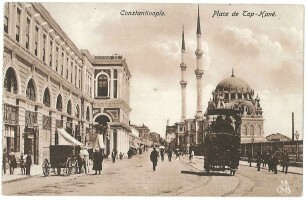 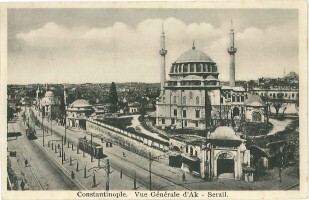 The first line started in 1871 as part of a 4 lines concession to "Société des Tramways de Constantinople". 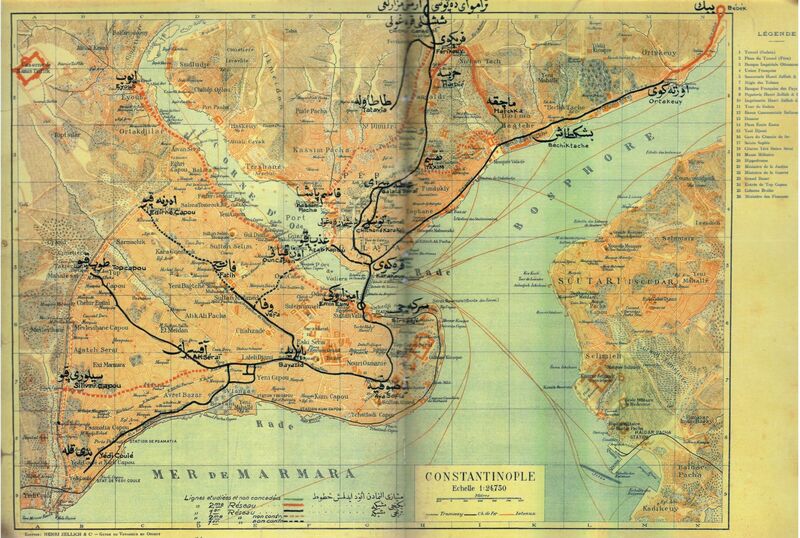 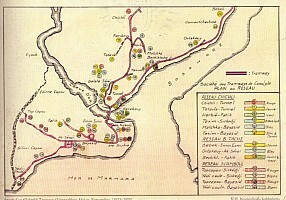 The network was quickly expanded to cover most of Constantinople (now the European side of Istanbul). 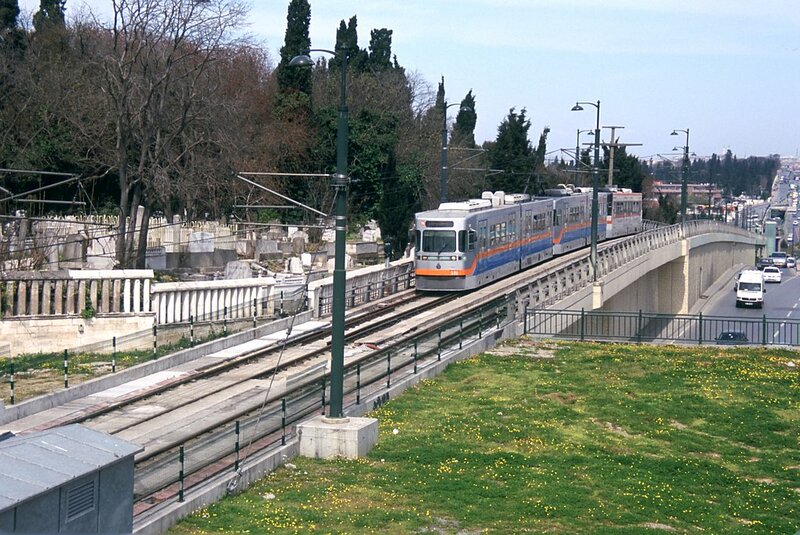 The carriages were horses drawn as done at that time and running on meter gauge track. 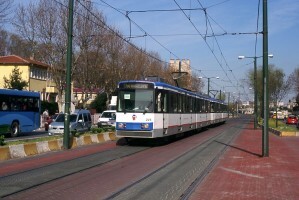 The tramway network was electrified by overhead contact wire in 1911. 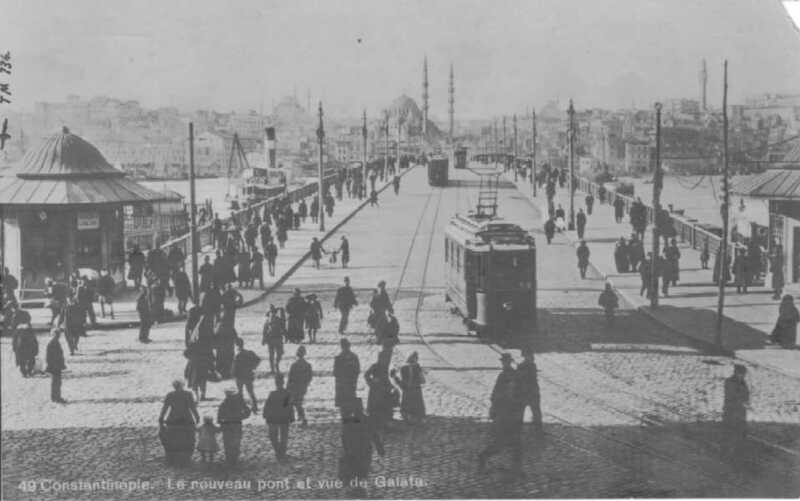 All the lines were crossing the Golden Horn on the famous Galata Bridge, which was acting as the central connection point. The Asian side of Istanbul had to wait until 1928 and the creation of the "Üsküdar Kadıdöy Halk Tramwayları (ÜKHT) by the Republic to have a tramway line. The tramway companies diversified into electric distribution and bus operation. 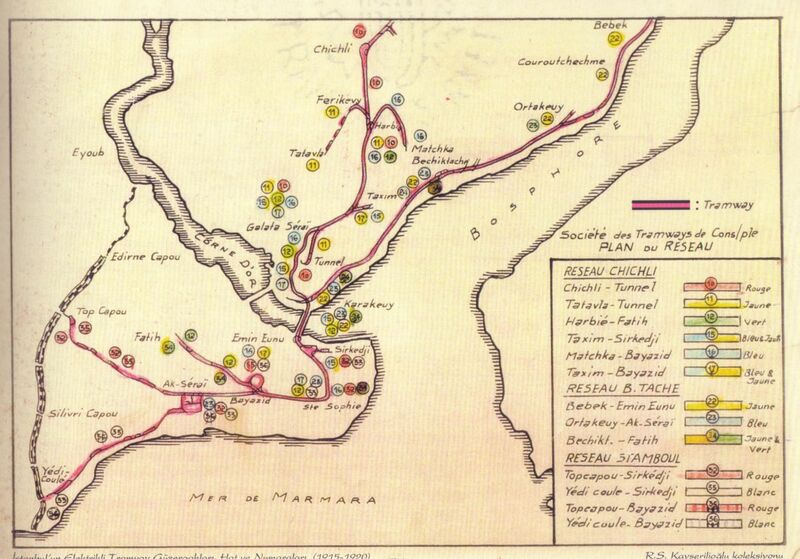 This was often the case as the companies could easily use their electric engineering competencies to build power networks. 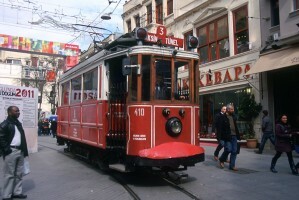 Istanbul public transportation was nationalized in 1939, and the new company Istanbul Electrik, Tramway ve Tünel İşletmeIeri (İETT) took over both European and Asian networks. The tramway had very little upgrade and basically the 1911 electric cars were still running in the 1960's. These vehicles looked outdated compared to the new cars and buses that were now on the streets. 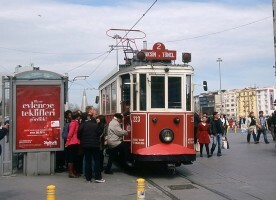 The tramway had little comfort and was slow because it was caught in the traffic jam caused by the cars. 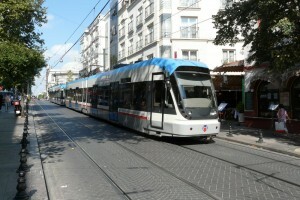 The tracks were also outdated, noisy and in the middle of the street. 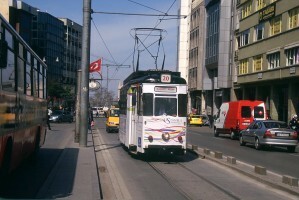 Cars had to pass the tramway on the right, causing danger for the pedestrians boarding and alighting the tramway. 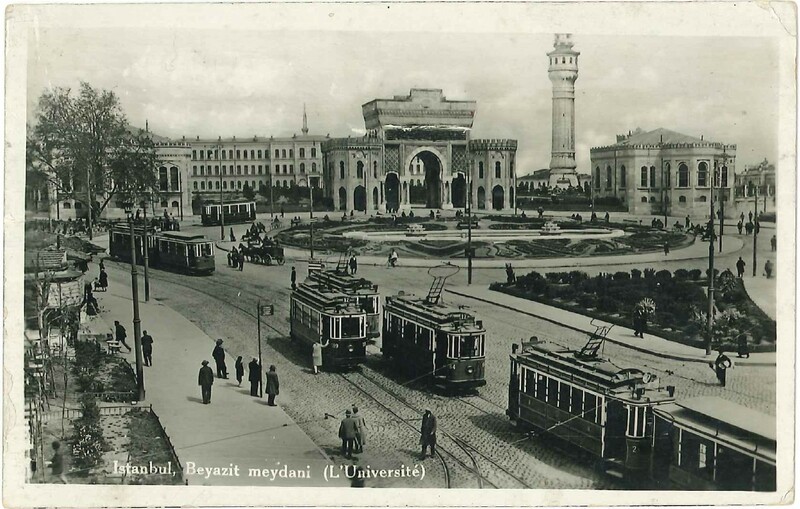 For all these reasons (and others), the tramway felt out of fashion and was closed in Istanbul. 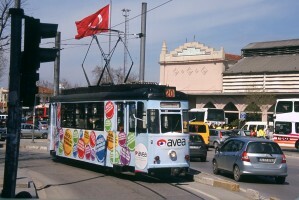 Line closure started in 1958 and the last car ran on 12 August 1961 on the European side, on the 14 November 1966 on the Asian side. 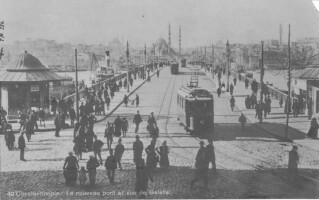 A postcard showing heavy tram traffic on Galata Bridge in 1919. 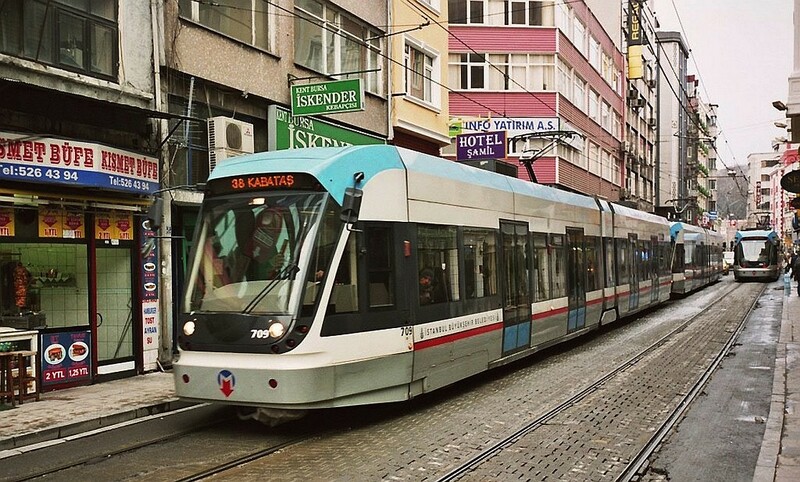 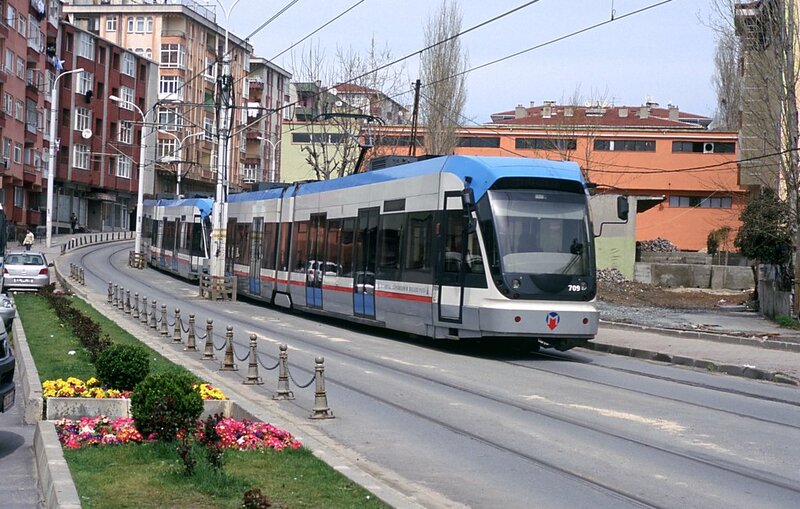 In 1990, Istanbul City rebuilt a small stretch of meter track tramway from Tünel upper station to Taksim. 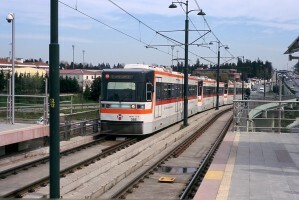 It is a single line, about 1 km long with a passing loop in the middle. 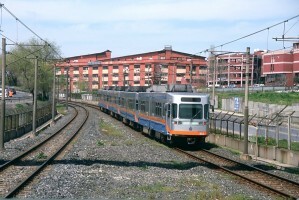 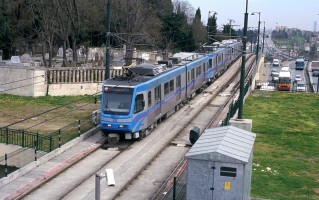 Original rolling stock, which had been preserved, has been refurbished and is used on this line. It is funny to notice that local people are ridding this line although it is intended for the tourist. And children are still ridding on the buffers, as they already did at the beginning of the century. 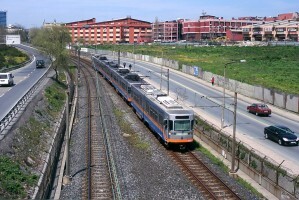 On the Asian side, a short strektch of the "Moda" line has been rebuilt also, near Kapiköy ferry terminal. 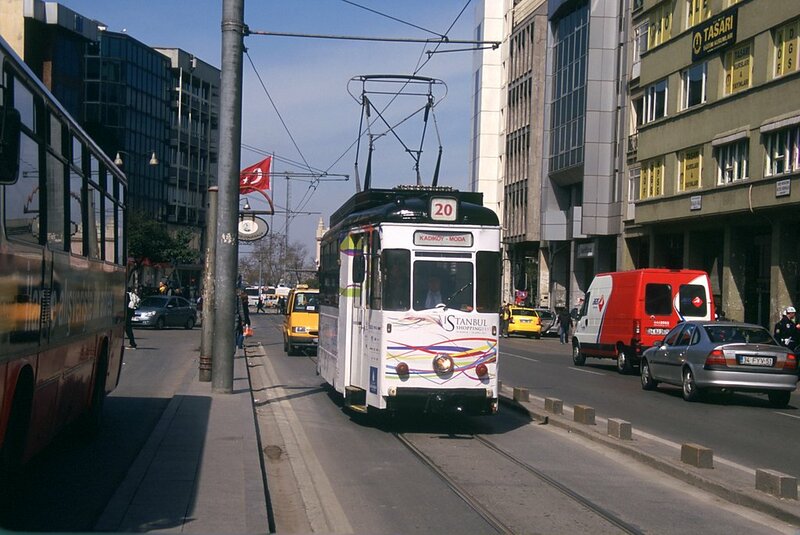 The line is circular going around a few blocks and is using also original stock. 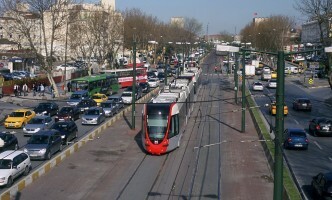 2 tramways, at street level mostly segregated from cars, except at some junction. 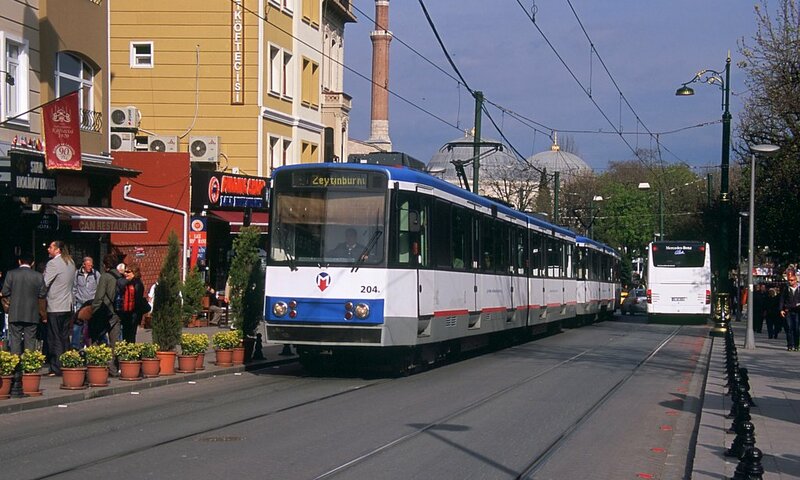 a light metro, fully segregated but whose rolling stock is similar to the tramway. 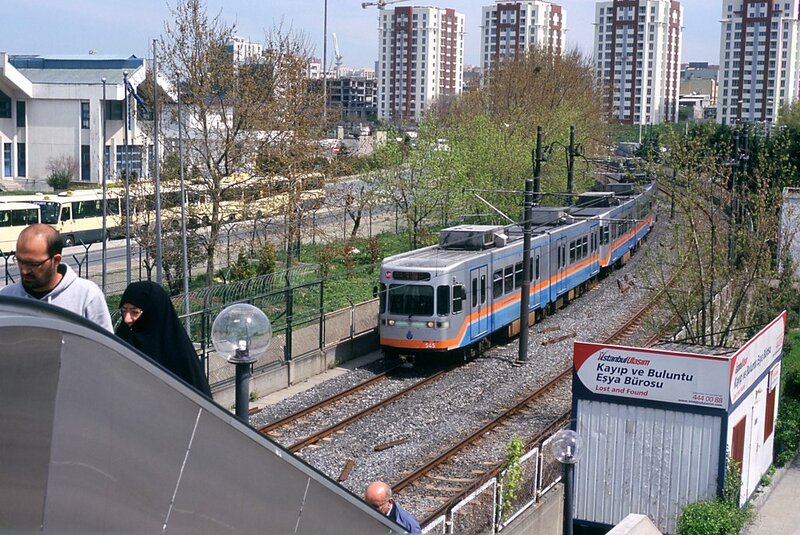 The Istanbul concept of light metro can be confusing. 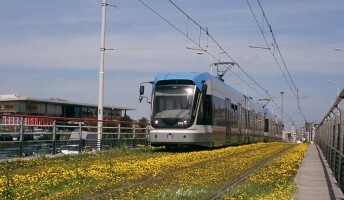 Light metro rolling stock could be seen on T1 tramway line. 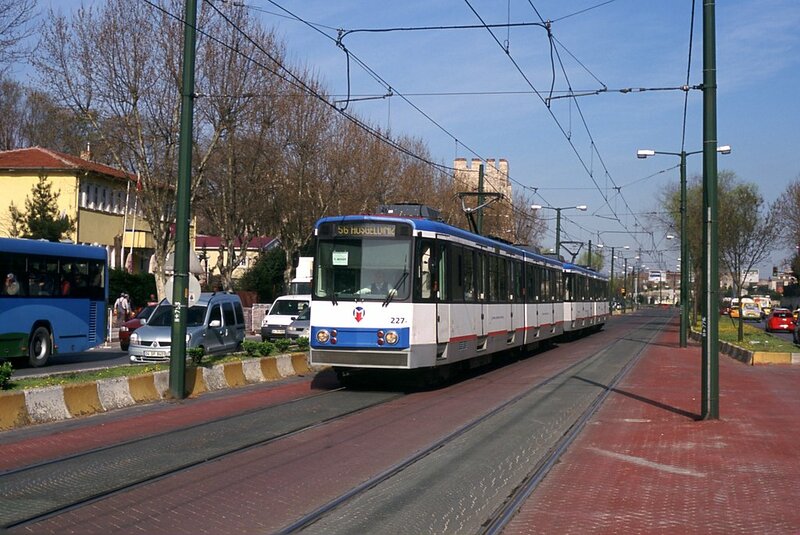 Line T4 is part tramway, part light metro. 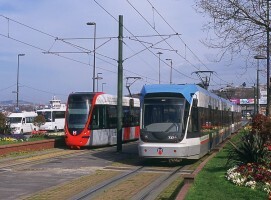 Light metro is more an like an enhanced tramway fully segregated from road traffic, with lineside signalling and high platforms. 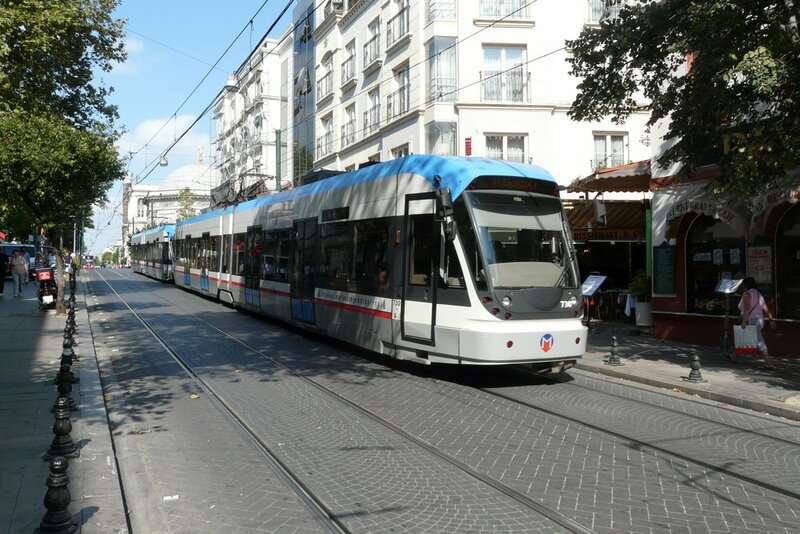 The new tramway is of a modern design: segregated from traffic, on most of the way, standard gauge track and platform at stations. Power supply is done by regulated overhead lines and pantograph pickup. 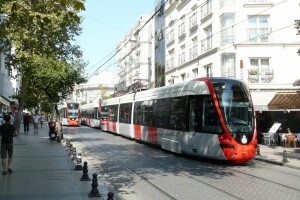 The cars are centraly regulated and have priority over cars. 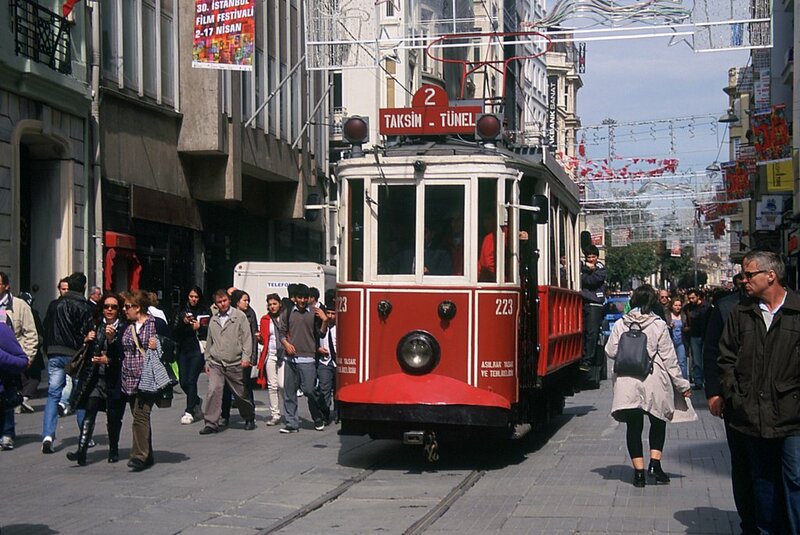 The modern tramway lines are built along the same alignment of some of the old tramway lines: nearly 40 years after, it is nice to see trams crossing the Galata bridge again. 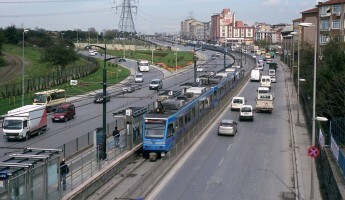 In Januray 2009, a new section of metro was openned between Taksim and Şişhane. 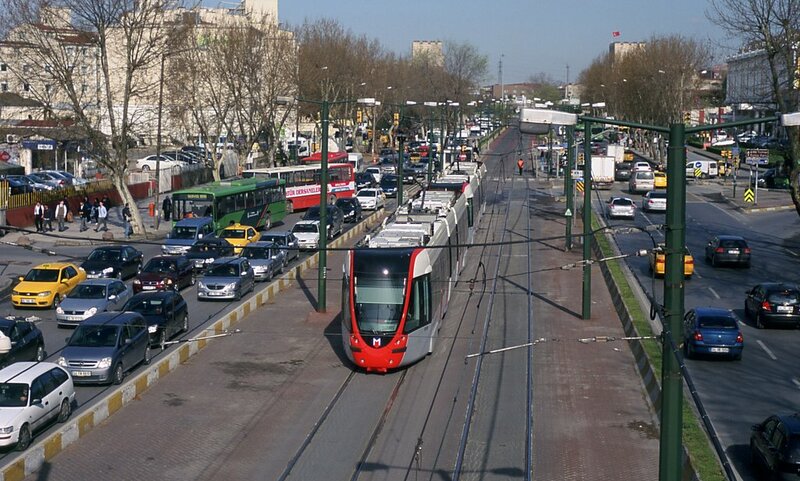 This new section has subsequently lengthened to Hacıosman and has 13 stops. 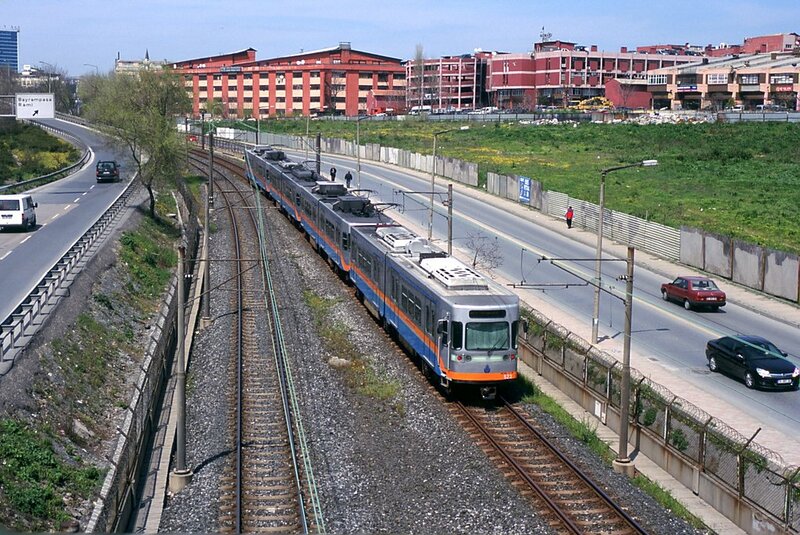 A second batch of 34 sets was delivered by Eurotem, the Turkish subsidiary of Hyunday-Rotem. Again the sets have 4 cars and they are based on the Metropolis type. 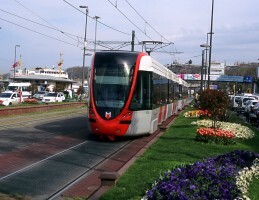 The first line was opened with a set of Düwag second hand tramways purchased from the city of Köln in Germany. 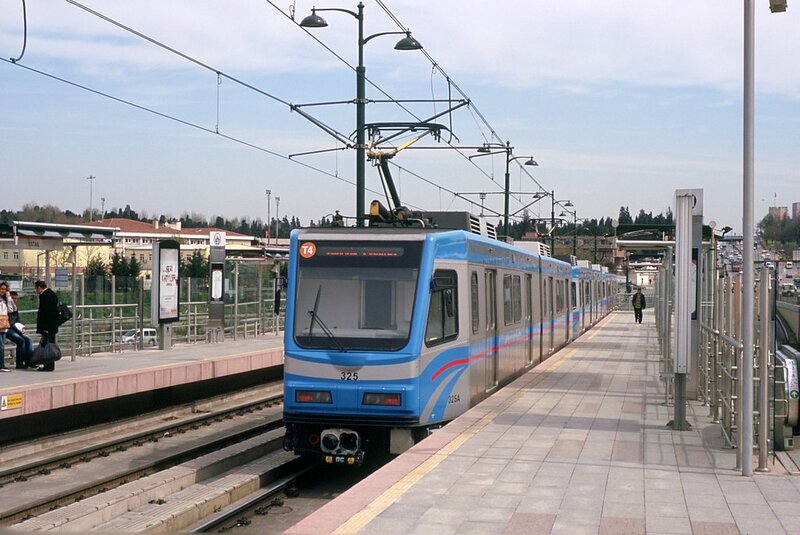 This equipment was supplemented with 22 sets ordered to Bombardier in 1992. this equipement was then displaced to like T4 when more modern equipement arrived. 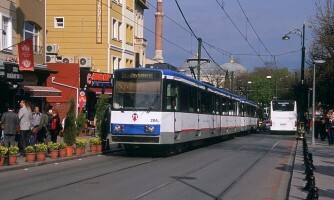 IETT has received in 2003, 55 "Flexity swift" trams from Bombardier, Wien factory. 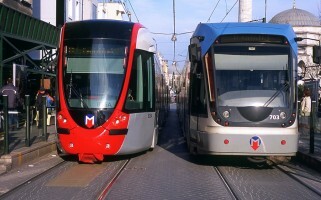 These units are numbered 701 to 755. 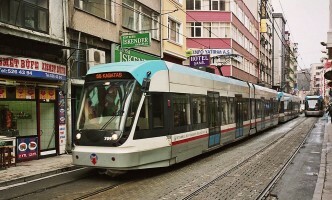 Similar units have been delivered to Stockholm. 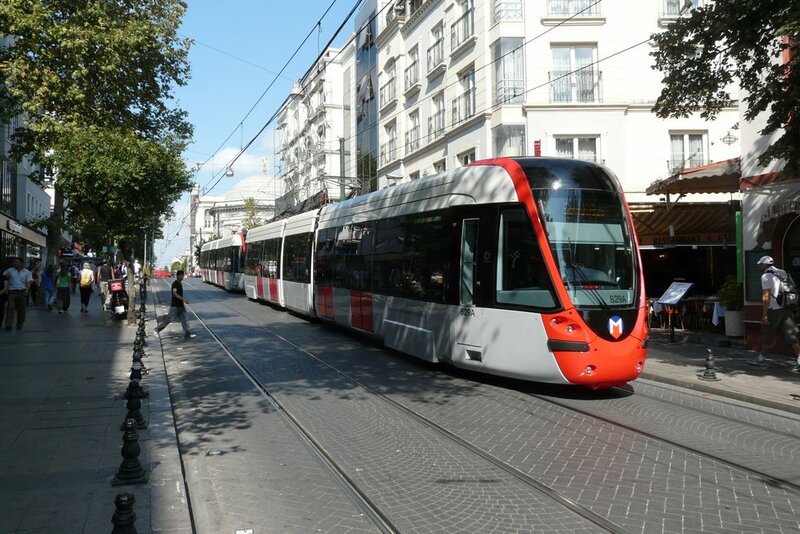 Then IETT received in February 2011 from Alstom 37 Citadis trams, numbered 800 to 837. 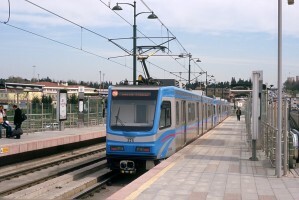 Istanbul Light Rail line T4 has high-level platforms and a mixture of cars, including new Hyundai-Rotem units, ABB cars from the Hafif Metro and Duewag cars bought from Koln that also ran on Tramway route T1. 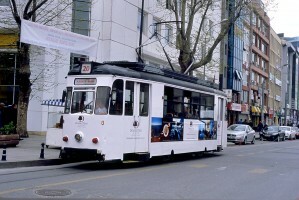 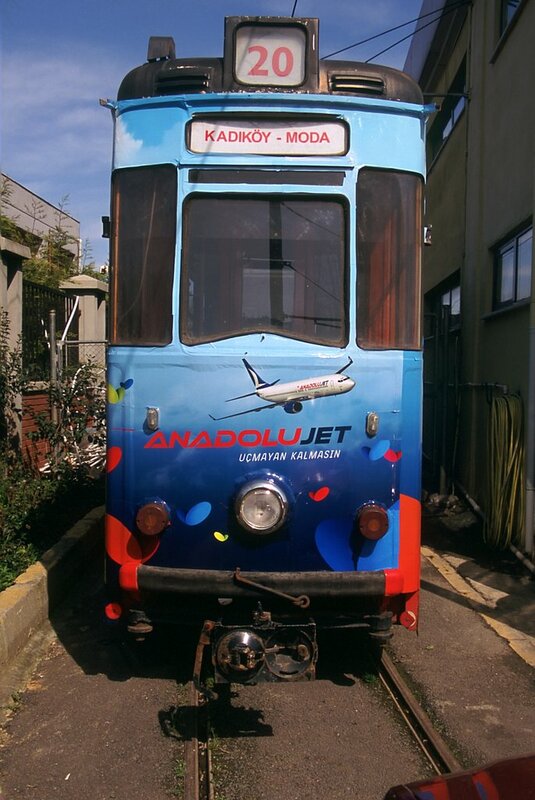 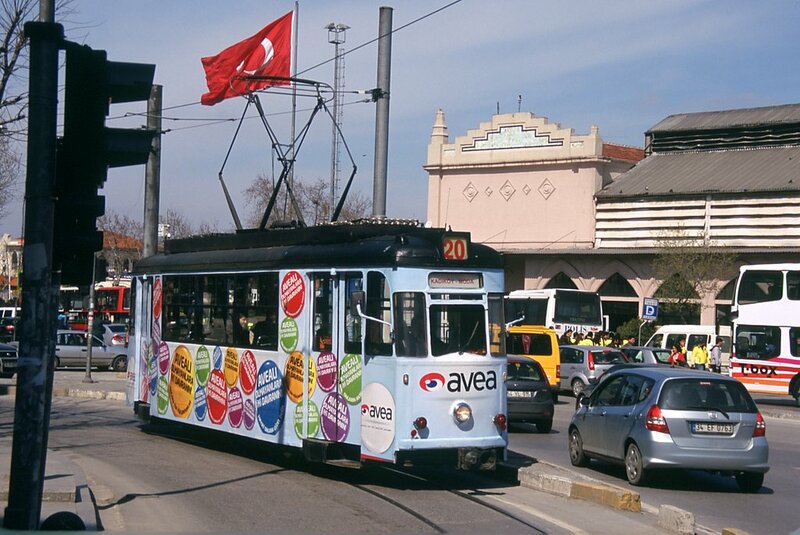 Moda tramway in Kadiköy is a circular loop of heritage tram on the Asian side of Istanbul. 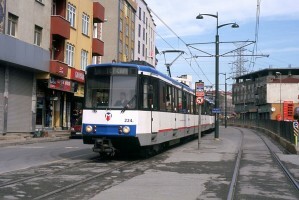 The rolling stock for the Moda line consists of East German single-truck Gotha-Reko trams from the cities of Jena and Schoeneishe. 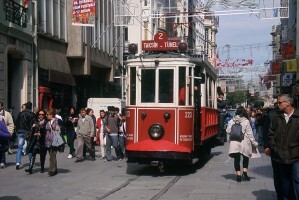 Istanbul is running also an underground funicular dubbed "Tünel". Tünel was opened in 1875 and climbs an altitude of 60m for a 573m line. The funicular cars were renovated in the 1960's, on a design based on Paris subways (including car colors and warning bells). 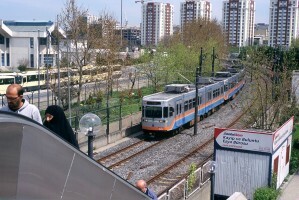 This new funicular was completed in 2005. It goes up from Kabataş, a Vapur terminal on the northern shore of the Golden Horn to Taksim, a major intersection. 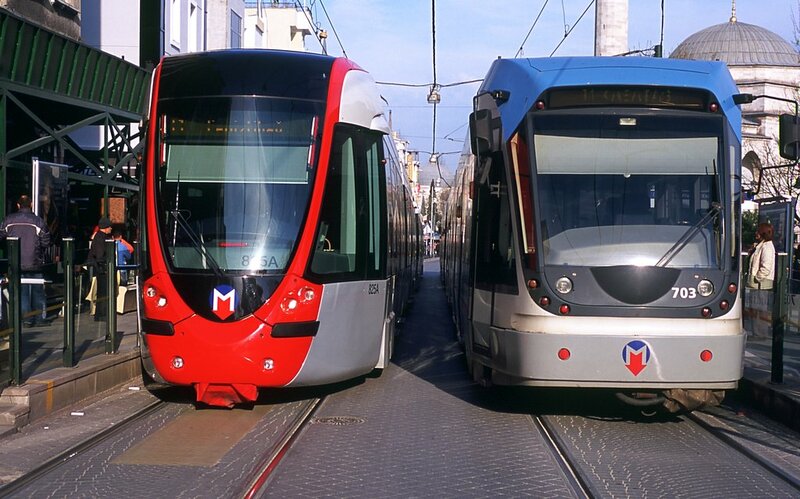 The line is 550m long, the gradient is 22%. The line has two cars (capacity 375) travelling at a max speed of 10m/s.